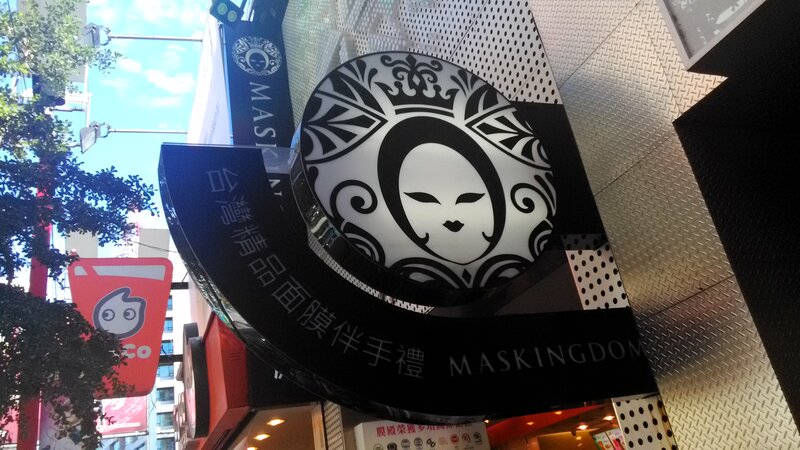 Retail notes from Taipei: [Store Profile] MasKingdom Revisited! I arrived in Taipei a few days ago and one of my first visits was to MasKingdom’s flagship in the city’s trendy Ximen area. 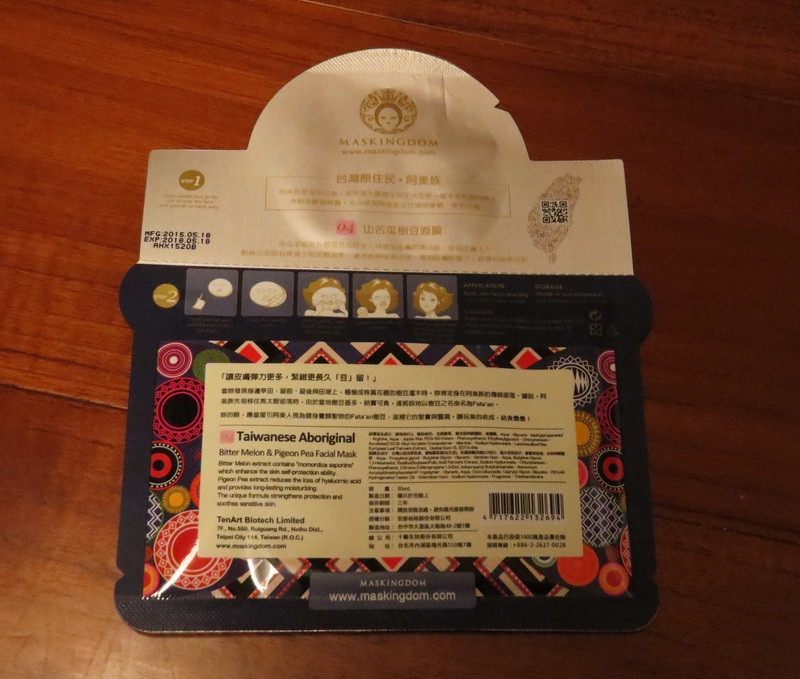 I had written about this unique Taiwanese face mask manufacturer last November during my first visit to Taipei – you can read the post here. I did notice that MasKingdom masks are now appearing in a number of Asian online shops so it looks like the brand is doing very well. 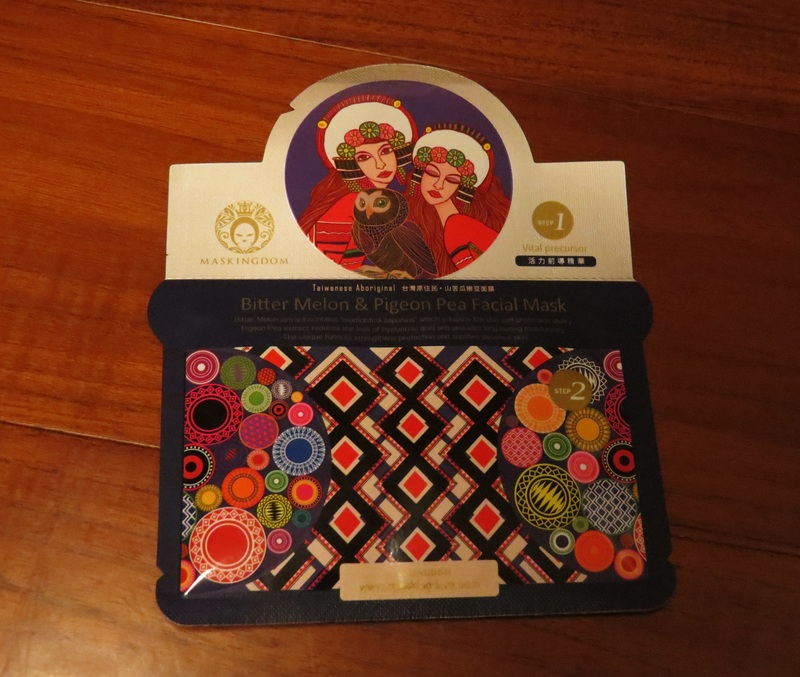 When I visited the store I was yet again struck by the beauty of MasKingdom’s Taiwanese Aboriginal mask series – probably the brand’s best-known range – and decided to buy a mask set. There are two Aboriginal ranges with six different face masks each. The masks are only sold as a 6-mask set. They are not cheap (1,000 NTD per set which equals around 30 Euro) but the unique concept and design of these masks make the purchase worthwhile. Each face mask commemorates a different Aboriginal tribe: on the back of the packaging you’ll find a brief description of the tribe, what language they speak and where they come from. 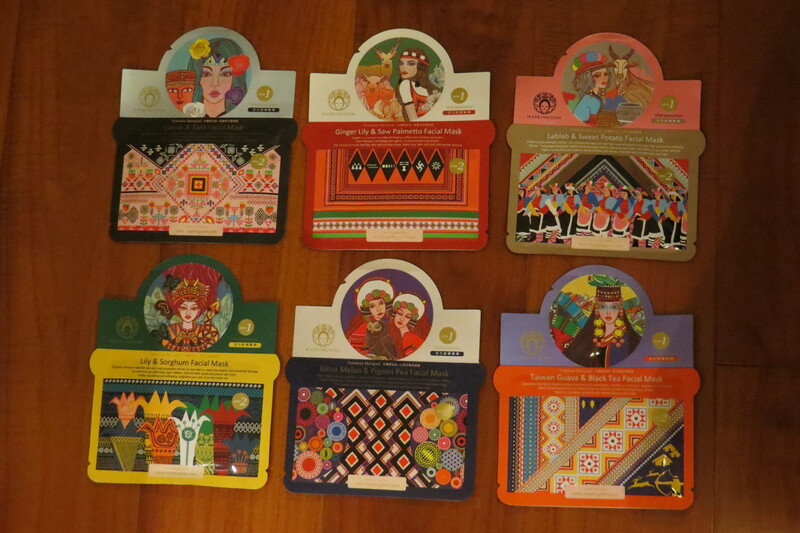 The front of the pack features a specific design – I assume that the design reflects whichever stylistic elements and patterns are unique to that particular tribe. The packaging illustrations were created by Taiwanese designer Ele, by the way. And the range itself was launched in 2013! In line with MasKingdom’s strong focus on Taiwanese products and manufacturing, the masks are formulated with regional ingredients – Ginger Lily & Saw Palmetto, for example, Taiwanese Guava & Black Tea, Lily & Sorghum or Bitter Melon & Pidgeon Pea. Oh yes, and they are two-part masks: the top bit includes a serum, the bottom half the actual sheet mask. 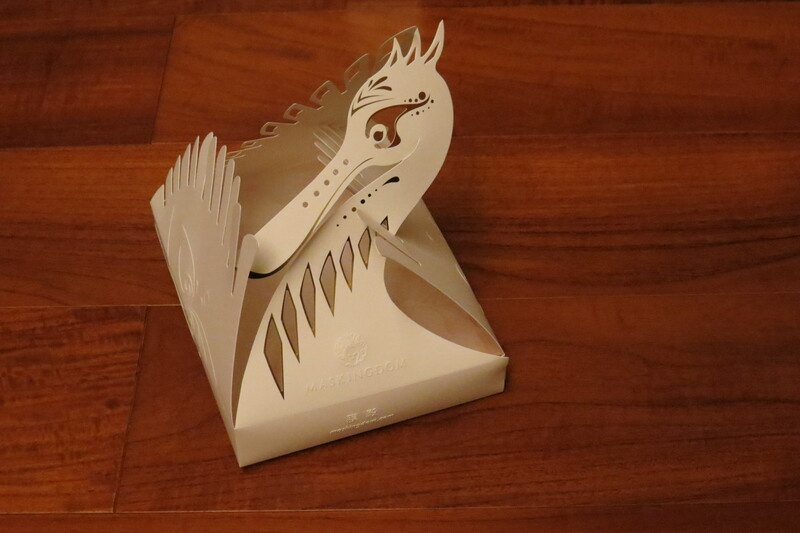 The mask set was packaged in an origami-inspired decorated box folded into the shape of a crane – it makes a beautiful gift which is, of course, intentional. MasKingdom is positioning its face masks as a premium souvenir: the brand has a POS in the Duty Free area at Taipei’s Taoyuan Airport. MasKingdom and the company behind it, TenArt Biotech, is also continuing to promote local design. In late 2014, MasKingdom founder Michelle Sung organised an International Face Mask Design competition for up-and-coming artists and designers – over 300 packaging designs were submitted. The winning entries can be admired here.